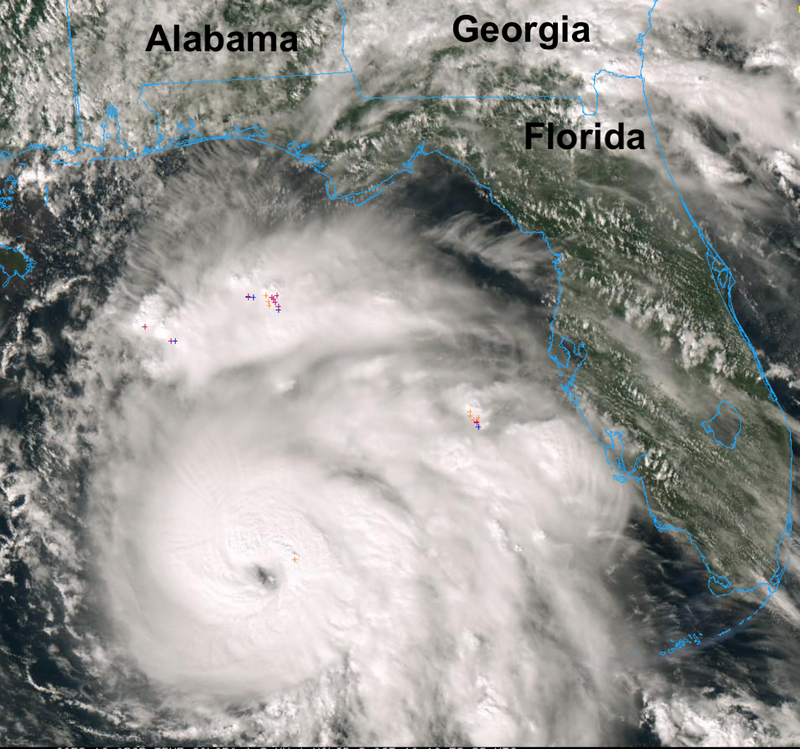 The National Hurricane Center has upgraded Hurricane Michael to "major hurricane" status. It now has winds of 120 mph sustained with a central pressure of 957mb. 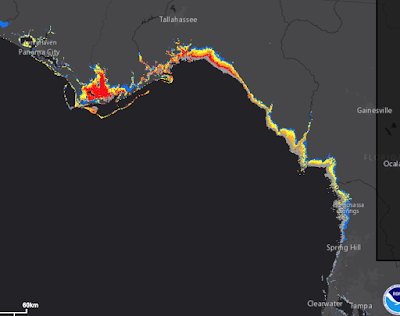 It is expected to intensify slightly more before landfall. Please rush your hurricane precautions to completion. I'd like to be able to report good news but I am not able to. The satellite images (there is no Hurricane Hunter aircraft in the storm at this time) clearly show a storm continuing to organize. The 1:55p satellite image is below. The pressure currently is 965mb with sustained winds of 110mph. 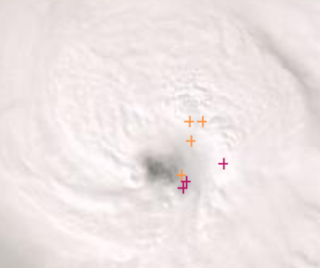 As of 2:08pm, there has been a burst of lightning ( +'s ) around the eye which is usually a sign of intensification. This occurred as I was writing this forecast. caveat that things could shift 20 miles or so either direction. 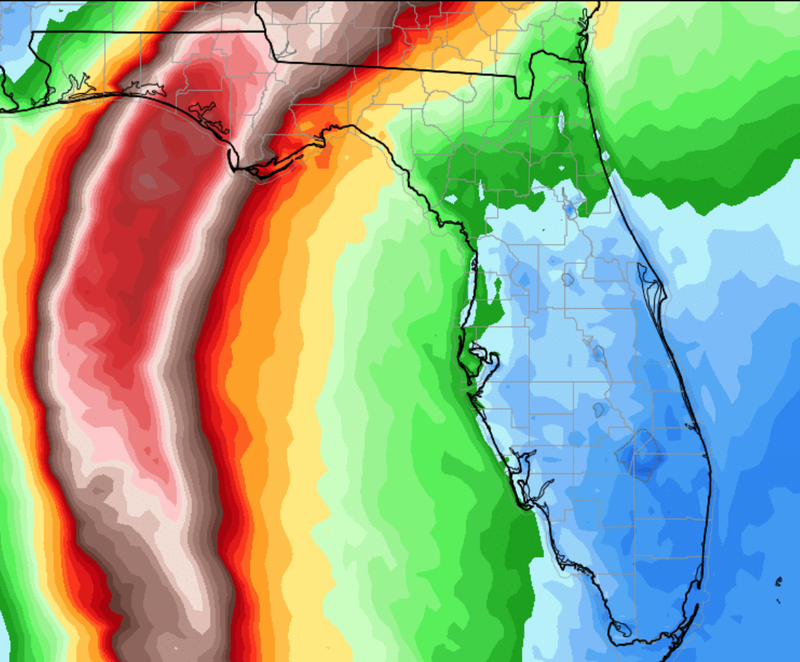 Panama City appears to be especially at risk with gusts to 140 mph or perhaps slightly higher; with the possibility of gusts near 100 mph inland as far as Tallahassee. Gusts of 80 mph may occur in SW Georgia with power failures likely through the area. Life threatening storm surges will accompany Michael. 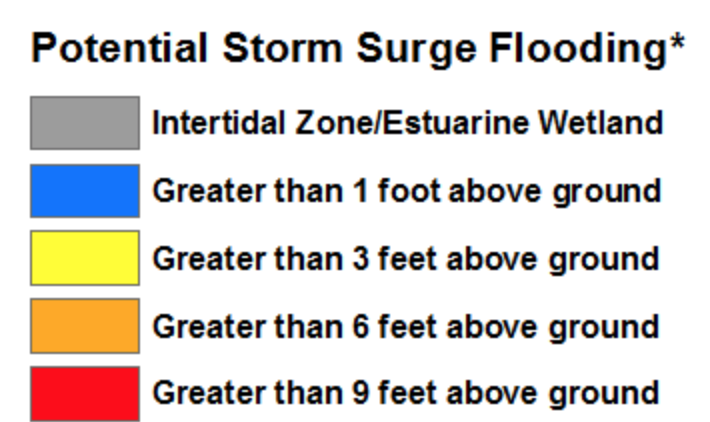 On top of 20' waves there will be a storm surge that will top 13' in places. There will also be tornadoes as the tornado approaches land and to the right of the center as it moves inland. Flooding rains are also likely. Please rush your preparation to completion.